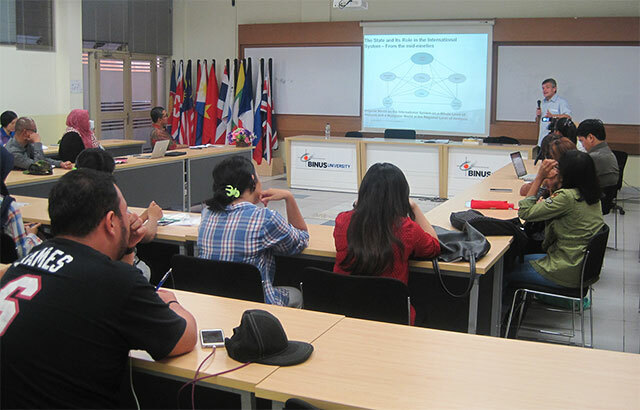 Department of International Relations in collaboration with the Indonesian Association for International Relations (AIHII) carried out Kijang Initiatives Forum on Monday, February 01, 2016 at Syahdan Campus. 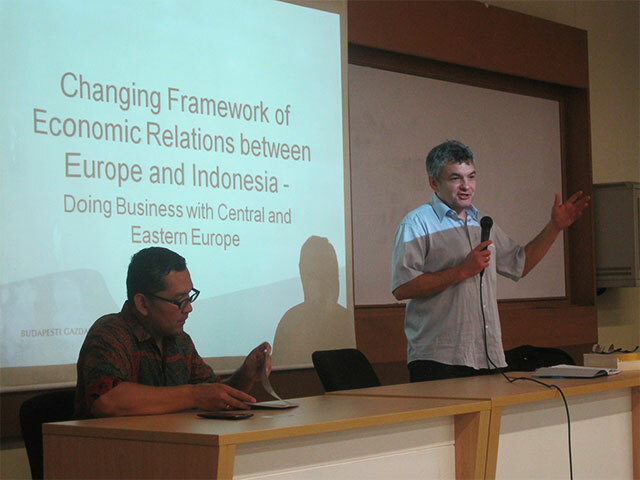 The 17th edition forum brought Dr. Tamas Novak, Associate Professor of Budapest Business Schoolas as the speaker and discussed a topic "Changing Framework of Economic Relations between Europe and Indonesia – Doing Business with Central and Eastern Europe". During the occassion, Dr. Novak talked about the political and economical growth of Central and Eastern Europe during the last decade, where several countries in the regions, particularly Hungary, indeed have steady development despite the numerous challenges encountered as a result of European Crisis in mid 2000s. He emphasized on the importance of establishing connections with countries in Africa and Asia (especially China and Indonesia) to expand Hungary’s market. Thus, international relations begin to be developed intensively with Indonesia. There are several focuses of this effort, namely trade agreements with companies, approach to educational institutions, and securing strong relationship with the embassy.